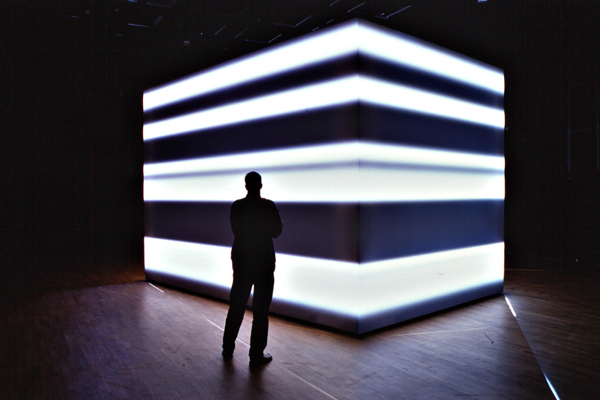 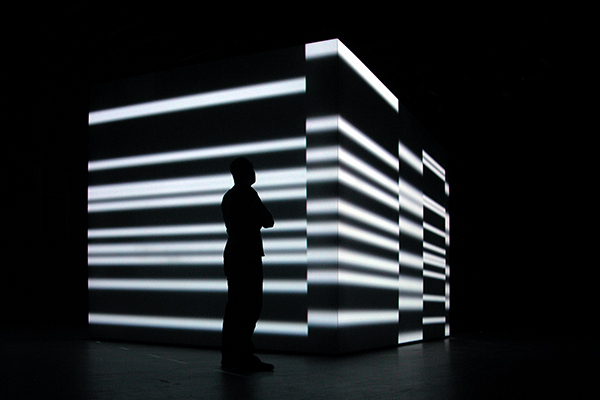 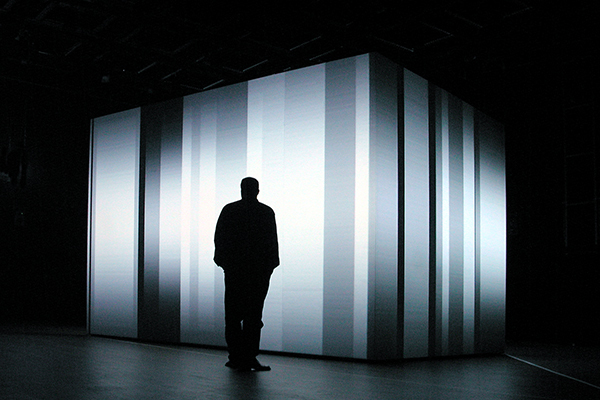 "Electronic images of black and white alternating structures and contrasts are projected on a cuboid object in space. 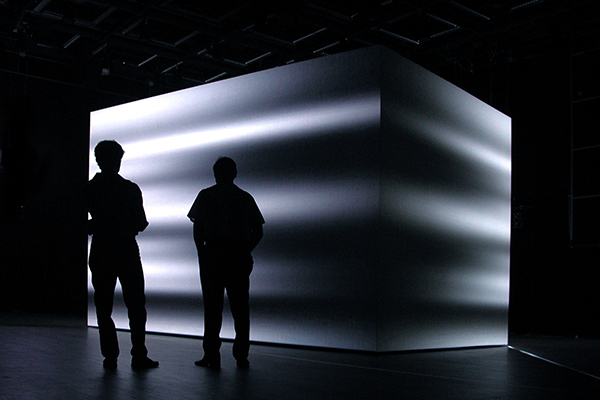 Passing through different metamorphosis, the abstract image themes gather momentum in the three-dimensional. 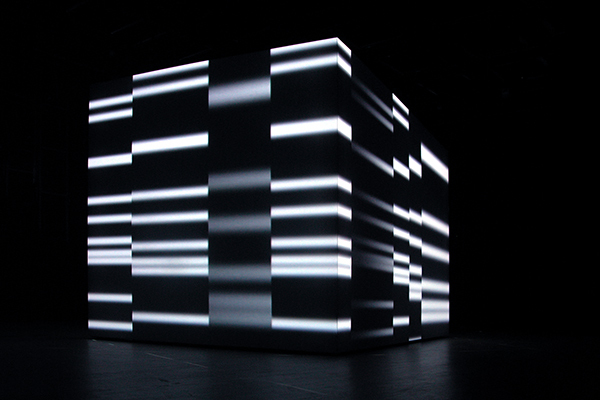 Structural unities of image, sound and movement deconstruct the shape of the cube - images and sounds are mutually dependent and explore relations between form and meaning beyond medial image fronts."